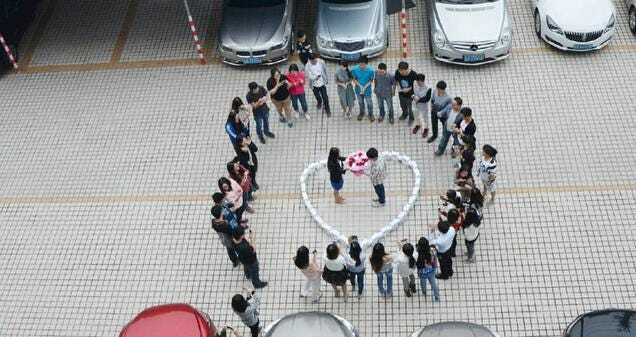 What’s love got to do with it? You might be asking yourself that very question after reading this bizarre story. 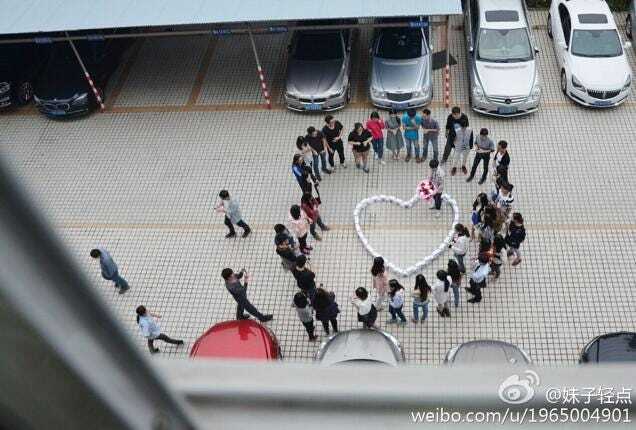 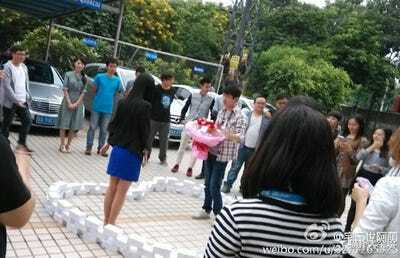 Kotaku reports that a guy in Guangzhou decided to propose to his girlfriend in the middle of a heart constructed out of brand new iPhones — 99 to be exact — that he purchased for the occasion. Check out the photos, which came from Weibo and the site, QQ Games.